Most devices utilize proximity and light sensors to make the user experiences of the phone run more smoothly. 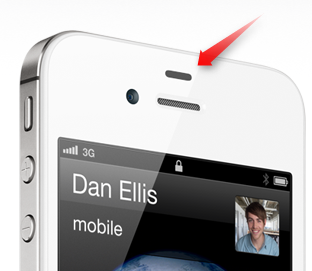 The proximity sensor allows the device to detect when a human presence is near the phone. In most cases this is near the earpiece and it activated when you answer or make a phone call. The sensor will then deactivate the touch screen ability so you do not activate the phone with your cheek. This also disables the LCD backlight features to help preserve battery power. The Light sensor can detect the ambient light in your environment and will adjust the light display accordingly. This allows for less strain on your eyes as well as preserving battery power for your phone. We are able to fix both sensors on your iPhone to ensure that you are receiving the best user experience as well as preserving the overall life of your phone. Stop by today or contact us with any questions you may have as well as to receive free estimates for your mobile repairs.